June is "Adopt A Shelter Cat" Month so we're working with ASPCA to help spread the word - and we've got some beauts for you to check out! They're all senior kitties cuz seniors need love too! These cats are available for adoption at the ASPCA Adoption Center, located at 424 E. 92nd Street in the Upper East Side in New York City. If you are interested in adopting, please call their Adoptions department at (212) 876-7700, ext. 4120. Georgio is a sensitive cat. He loves quiet, gentle attention, but like many cat, new places and people make him nervous. Georgio needs a quiet home with an experienced cat adopter, ages 14 and up. He is very sweet and is good with children, doesn't shy away from strangers, and is pretty playful. Meet Anderson! This special cat needs no introduction! With his soulful eyes, beautiful cream and tan coat and charming personality, we think you’ll quickly fall in love with Anderson. Let Anderson be your personal confidante—this kitty is a great listener. He is very sweet and enjoys gentle attention. At the Adoption Center, Anderson can be a bit frightened when picked up. But once he trusts you he is very affectionate. This spirited kitty loves exploring his surroundings and checking out new places and spaces. An experienced adopter in a home with kids 10-and-up would be a great fit for Anderson. Anderson even gets his own YouTube video! Cleo is playful with kids and loves affection but doesn't like to be picked up. Bell has a scarred, funny shaped tongue. This is likely the result of a birth defect or old injury. It does not affect her at all and should cause no future problems. 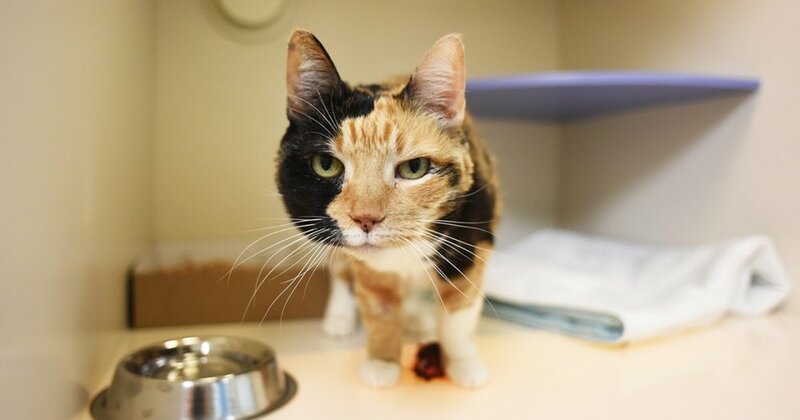 Bell is an older gal who enjoys affection but can be shy in new places and around strangers. She would do best in a quiet household with an adopter with some previous cat experience. Respectful kids ages 13 and up. Miranda is affectionate but she is rather shy at first when meeting new people and when going to live in a new place. She would do best in a quiet household with an adopter with some previous cat experience. Respectful kids ages 14 and up. Adam is a friendly, affectionate cat but he may be a bit shy at first in his new home. When he's feeling nervous, Adam may need quiet, gentle attention to help him eat -- he's a "social eater." He would do best in a quiet household with an experienced cat owner. Respectful kids ages 10 and up.